Why not add to your collection of passport stamps with a trip to London? Find out more about arriving and departing from abroad or another European destination. With a handful of international airports and an international rail station, there are a lot of options when it comes to traveling to and from London. Most guests arriving from afar will land at either Heathrow or Gatwick Airport, while some regional flights will land at the smaller Stansted Airport. All three airports offer a variety easy transport links into the city via express train, coach or taxi. 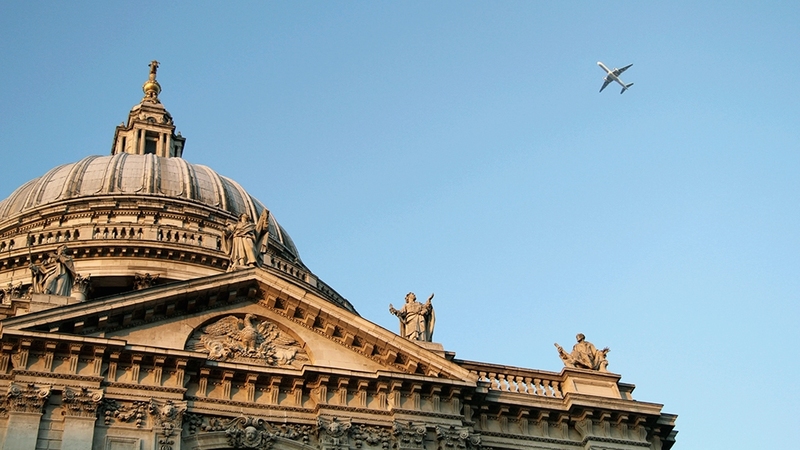 If you are traveling from Paris, the easiest way to reach London is by taking the Eurostar, an international train service that connects the two cities. Heathrow Express service takes you directly to Paddington Station in Central London in as little as 15 minutes. Operating every 15 minutes from approximately 5am to midnight (6am to midnight on Sunday), one-way tickets start at £21.50. The London Underground network offers the most affordable option for reaching Central London. The train makes frequent stops, but can take you to central London in around in an hour for as little as £5. National Express Coach service can take you to Central London in as little as 40 minutes. Fares start at £6. Black taxis are stationed outside departure areas of the airport and can take you directly to Central London for £60 - £90. Gatwick Express Train service takes you to Victoria Station in Central London within 30 minutes. It operates regularly from 4:35 am to 1:35 am daily. One-way fares start at £8.85. National Express Coach or easyBus Coach services can take you to Central London in approximately 80 minutes. Fares start at just £5. It is also possible to take a taxi from Gatwick to Central London. Fares start at around £60. The Stansted Express runs from the airport to Liverpool Street in Central London every 15 minutes. The average journey time is 47 minutes and one-way fare starts at £19. National Express Coach operates service from the airport to multiple locations throughout London. Total journey time is about one-hour and one-way fares start at just £5. For flight and airport information, or for more details on traveling to/from Stansted Airport, please visit www.stanstedairport.com. If you're traveling from Paris, the easiest way to reach London is on the Eurostar train. While many people opt to fly between Paris and London, the Eurostar is actually the easiest and quickest way to travel from Central Paris to Central London. In just two hours the swift train takes you from Gare du Nord in Paris directly to St. Pancras Station in the heart of London. Finding an inviting vacation rental may be an easy task, but arranging the best travel options to your London destination can be both complicated and time-consuming. This is why London perfect is happy to partner with Cranky Concierge, a phenomenal air travel assistance and service provider that will guide you from the initial booking of flights, to any unexpected issues that arise along the way. From securing the best price, to monitoring your flights in the moments leading up to check-in, you’ll have a partner to ensure you arrive at your London destination refreshed and ready to relax. Flight Booking Service: Let the trained travel agents do the work of searching thorough countless options to find the best prices – and best routes – for your upcoming flight to and from London. 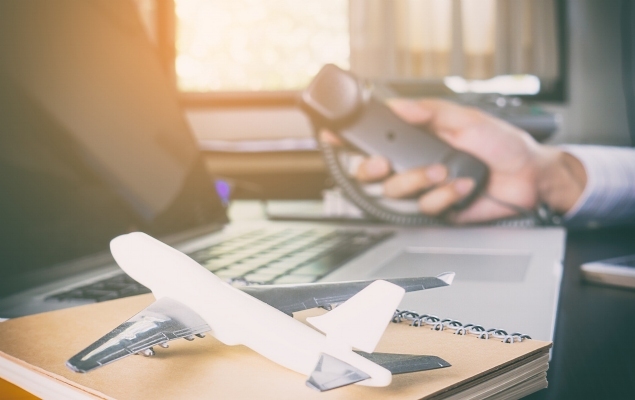 Flight Monitoring Service: The travel experts at Cranky Concierge will monitor your flights starting a week before you depart, so if there is any problem during your travel plans – like missed flights of cancellations – there will be resources and solutions at the ready. Award Redemption: Make the most out of your acquired airline miles. Cranky Concierge will review all possible options for optimally using your miles to get you to your London destination. Whether your primary goal is to find the most economic flight possible, or to have a safety net in case anything goes wrong, Cranky Concierge is a fantastic travel partner that will lead the way.